Well Florence, I finally met you. I arrived late Thursday night after a terrifying introduction to the city. 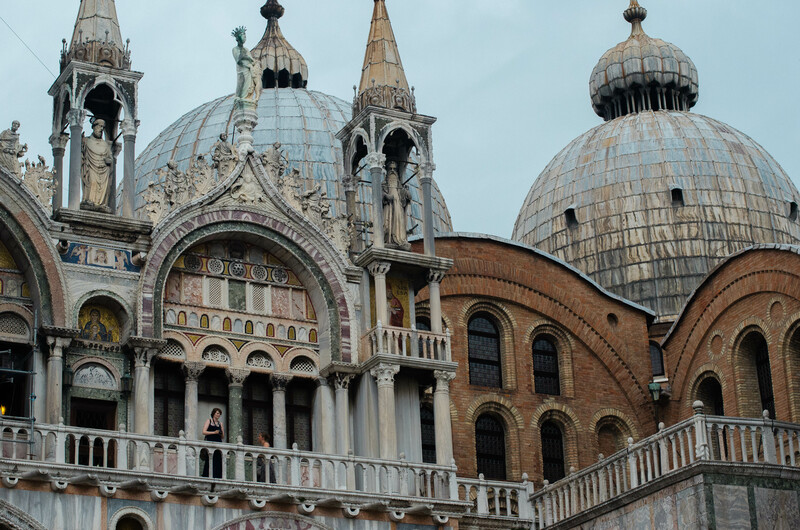 But before I head into that story, I have plenty to share about my time in Venice! On Wednesday, I decided to head to Lido for the day. Lido is a quaint, suburban island in Venice that seems to have one popular main attraction: the beach. 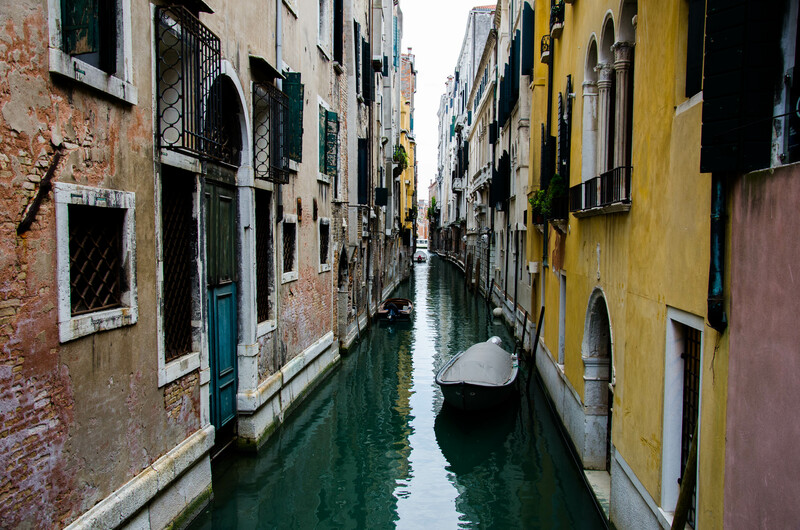 I figured I would spend the early morning with my camera and walk around the streets of San Marco first, finding my bearings and exploring the hidden passage ways. The hilarious part about this is, I really thought I would be able to locate Piazza San Marco when I was ready to head to Lido. 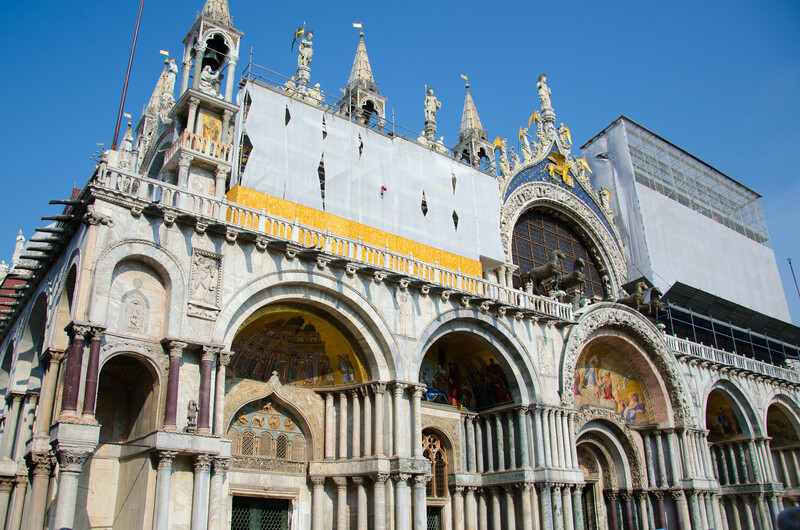 The Piazza San Marco is the famous, central square within Venice filled with tourists. Easy to find, right? I couldn’t be more wrong. Just when you think that walking down one street will allow you to meet up with another, it takes an unexpected turn. I was surprised at my ability to keep calm through the entire maze. 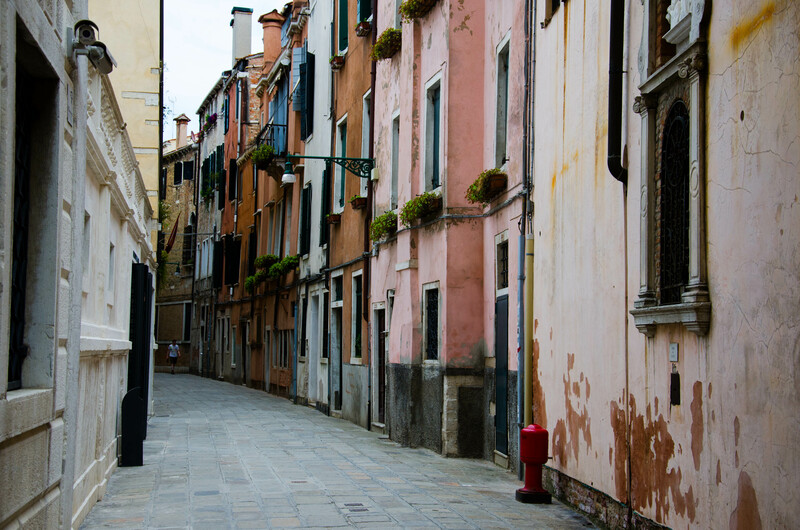 They tell you to get lost in the streets of Venice, yeah? Consider it a check off the bucket list. I think I was walking for about 3 hours until I finally managed to find a sign that pointed towards San Marco and continued to lead me through the streets for another 20 minutes. The entire walk was beautiful and historic and to be fair, I did welcome the adventure. My mentality of “I think I’ll go that way”, is bound to lead me in the direction of being terribly lost multiple times. I headed to Lido as soon as the sun began peaking through the clouds after an overcast morning. I found the beach fairly quickly and after sitting in the sun for no longer than 25 minutes, I was black. Or at least, a lot darker than I was when I arrived. The sun was blaring. The absolute coolest part about that trip was that I was able to swim in the ocean for the very first time! It was a quick swim since my camera was sitting on the shore. It was way saltier than I expected and warm as bath water! A perfect mid day break. During my final evening, I met a really nice guy named Jian. Much to my surprise, he was 37 (didn’t look a day over 20) and seemed to be a very experienced traveler. He mentioned something about being a diplomat in Egypt? I know, right? (Jian, correct me if I’m wrong). 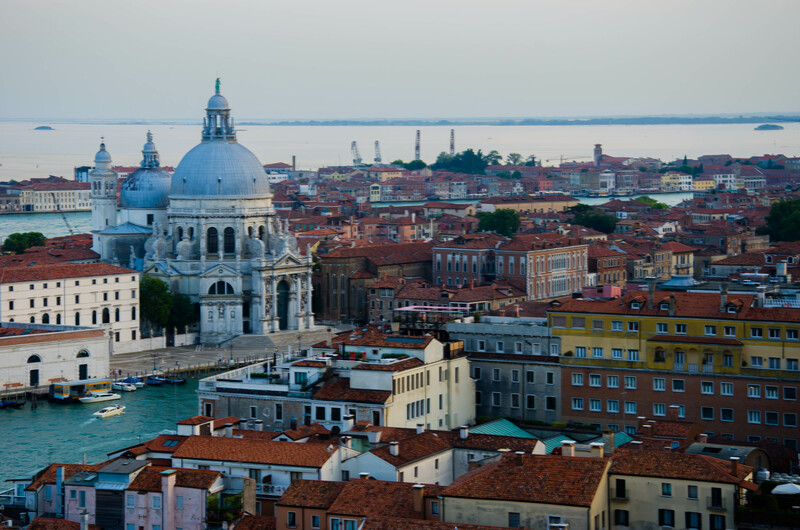 We met at the hostel and decided to take a climb up the bell tower to see Venice from the best view in the city. Traveler icebreakers are the greatest, I’m telling you. “Hi, my name is Sam, let’s go see a famous monument in Italy together.” The connection is always instant. The night ended with dinner and that was it, another passing friendship. Something he said really stuck out to me though and I’ll try my best to rephrase it like he did. A simple and beautiful way to describe the very short but meaningful friendships along a journey. When I arrived home, a girl and her Mother from Australia were staying the night in my room. Now that was a short encounter, unfortunately. They were super sweet and I thought it was so cool that they were traveling together. They gave me some great tips on place to visit in Italy and were quickly on their way the next morning. My morning brought a trip to see the Saint Mark’s Basilica in the square and a visit to Burano before I headed to Florence. The Basilica was out of this world. I tried so hard to capture the beauty but it was close to impossible. The whole inside was covered in beautiful gold like this photo of the inside below picturing one small, very small section of the massive ceiling. Now I get to Burano. 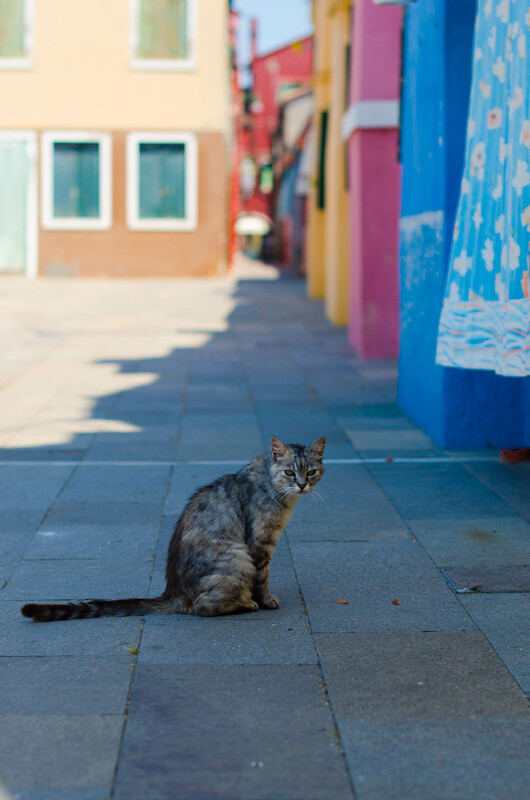 How can I describe Burano to you…imagine you’re Dorothy and you’ve just been thrusted into the land of Oz. I know, that was really lame, but it doesn’t stray far from how I felt. It didn’t feel like I was in Venice anymore. 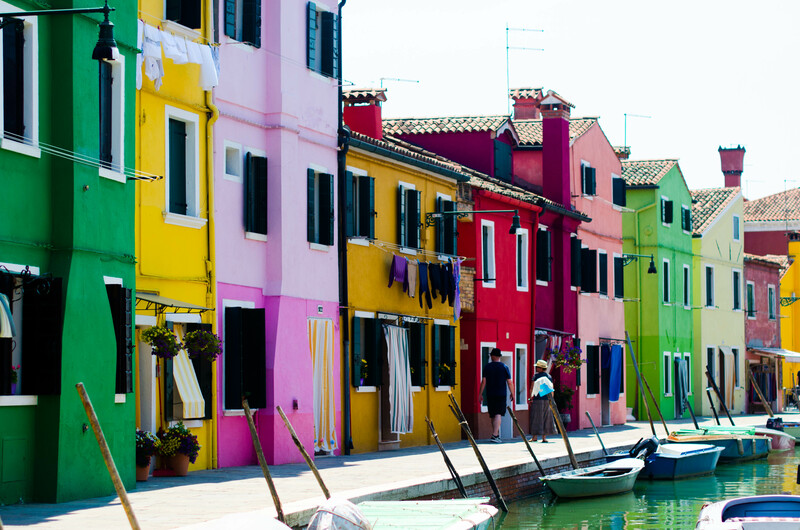 Burano is one of the islands within Venice and famous for its spectacular, rainbow coloured houses and shops along the waters edge. The entire island is filled with gorgeous colour and so many stray cats. Maybe that’s why I liked it so much. It was the cutest and happiest little island I bet I’ll ever walk upon and I could have set up camp and lived there. You’re lucky I didn’t. Yes, Venice was all that I hoped it would be. I am shocked that I managed to do all of that in the span of only one night and a day and a half. Wait, was that really only my first stop? Florence stories are on their way! Hi Samantha,this is Nana again coming from Tim Hortons. I really enjoyed all your pictures and stories. I am looking forward to seeing more. It sounds like you’re learning a lot and having a good time. We are having very hot weather here. Over 30. Talk soon, love Nana.